Posted August 17th, 2016 filed under Promotional Texting, Shortcode, Text Message Marketing. Brick-and-mortar companies that don't have a robust e-commerce presence are finding it difficult to compete with those that do. Considering the rise of e-commerce giants such as Amazon, Wal-Mart and Apple, which lead the e-commerce landscape with nearly $105 million in annual sales, according to CEOWORLD Magazine, you can understand why old-fashioned brick-and-mortar complexes are struggling. Take for example a report conducted by Antony Karabus, CEO of HRC Advisory, which showed that growth rates for 11 luxury and department store chains have sat at negative 1 percent since 2011. On the flip side, e-commerce for the same set of store chains grew by nearly 180 percent during the same time period. Now imagine if you're a retailer that doesn't have a great e-commerce presence or worse, not one at all. The disparity in shopper preference is frightening. "People shopping … may find that there are fewer brick-and-mortar shops selling these gift items (flowers, candy, wine or jewelry) than in years past, but the number of businesses offering online shopping is larger than ever," the Bureau of Labor Statistics stated in an article about 2016 Valentine's Day sales. While the BLS was specifically talking about sales during the Valentine's Day season, we can comfortably apply the same concept throughout the remainder of the year for other goods. 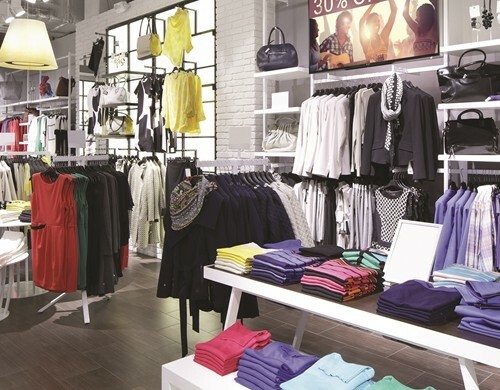 So, what should traditional retailers do to compete? Interestingly enough, of the top 25 American e-commerce retailers, 18 of them are actually brick-and-mortar businesses, which means there's still time for other traditional stores to update their services and communication. First and foremost, they do need to ramp up their e-commerce game. But that doesn't mean they have to do so at the expense of their brick-and-mortar strategies. They can still convince people to visit their stores, roam the aisles and purchase goods. To do so, these retailers must get creative, and we suggest using SMS services, which can help retailers get back in the game. Countless companies use mobile text marketing to increase sales. Customers opt into the company's SMS program, and they begin to receive deals and promotions. One business currently using the software is Bed Bath & Beyond. The company directs customers to an easy-to-fill out form on its website where they enter their mobile number and zip code and then check a box that provides their consent for the company to send them offers. It's a perfect way to build strong connections and keep in touch with customers. Armen Matosyan, chief innovation officer at TTAG Systems, said in his article "4 Reasons You Should Send SMS Coupons to Your Customers" that a company's goal should be to make the "brand experience easy for customers." Tossing them a ton of paper coupons doesn't simplify their shopping experience, it makes it more cumbersome. By offering customers text-message coupons – which they can redeem by visiting the store – companies can reduce costs and increase foot traffic. If you're still not convinced that SMS is right for your brick-and-mortar shop, then ask yourself how well your flash sales and other promotional offers are working? If they're not increasing foot traffic, it's likely because your company doesn't have the technology capable of supporting such aggressive marketing practices. It often takes too long for someone to open email (if they even do), and even longer for them to open direct mail. It's much more likely that emails are sent to spam folders or that direct mail winds up in the recycling bin. On the other hand, people are much more likely to engage text messages, according to a report by FunMobility. You can easily use SMS messages to notify customers of in-store flash sales. If you'd like to know more about setting up SMS for your company, talk to a third party who can analyze your current marketing strategy and help you tailor your SMS ambitions to fit it. You may even find during the process (we believe you will) that SMS is a much more efficient way of communicating with new and returning clientele than with email, direct mail or even over the phone. It's quick and easy for customers to use and will help you cut costs.